If you desire to pursue career in the field of education and wish to contribute in building of your nation at the grass root level, then teaching Jobs is the most suitable profile for you. Apart from being one of the most respectable professions, it is also one of the most lucrative in terms of monetary benefits conferred to the Teachers by the Govt organizations. Teachers are also benefited by the unique working hours and summer holidays. It is expected with the implementation of seventh pay commission, the salaries of Govt Teachers will shoot to the exponential high of more than 1.25 lakhs per months apart from the various other perquisites associated with the profession. Currently there are more than 3000+ plus vacancies that aspirants can apply for in the education field, Teacher recruitment Board of Tamil Nadu, JIPMER, Sate of Mizoram and Other originations have announced scores of vacancies for the Teachers’ at PGT, TGT and Primary Level. Teaching is the unique profession that provides you the opportunity to shape the character, enhance their caliber, and imbibe students the knowledge essential for their future. 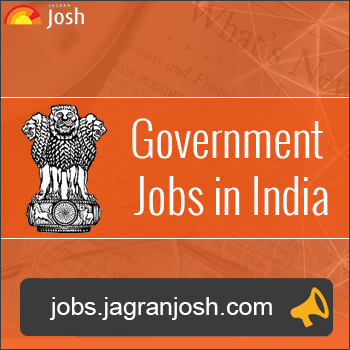 If you truly seek to pursue the teaching profession, then we have compiled a list if teacher Job Notifications below, aspirants can keep themselves updated with the latest Govt Teaching jobs here.